A clear alternative to traditional braces. Traditional Braces *New treatment only, cannot be combined with any other discounts or certificates. Invisalign *New treatment only, cannot be combined with any other discounts or certificates. 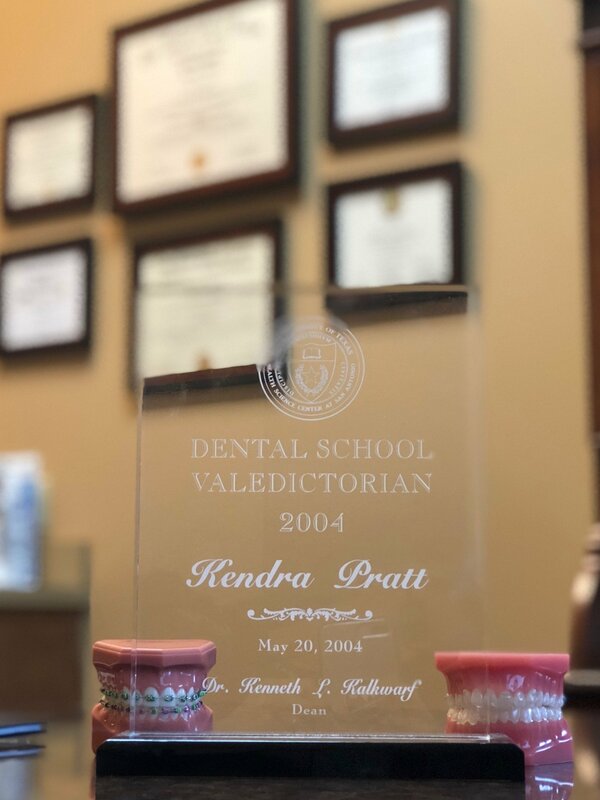 As a native TO Magnolia, TX orthodontist, Dr. Kendra Pratt is happy to serve the city where she grew up, ran track, cheered, and was valedictorian of Magnolia High School. This will always be home for her and her family. Dr. Pratt specializes in orthodontic care for all ages. With you and your dental care at the forefront, our team has decades of experience in oral care that will leave you with the smile you’ve always dreamed of having. Dr. Pratt was also the Valedictorian of Dental School at the University of Texas Health Science Center at San Antonio with a 4.0 GPA. 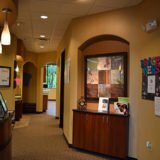 Dr. Pratt is a recognized Board Certified Specialist in Orthodontics facial Orthopedics, one of just five in The Woodlands area. 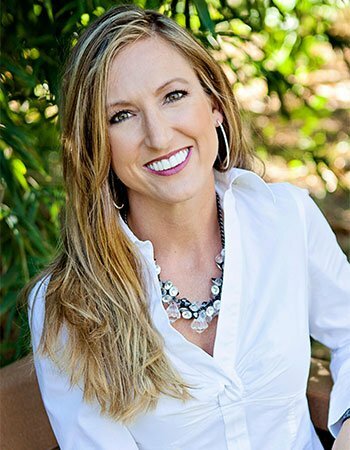 She has dedicated her work to providing services that are custom tailored to each patient using state of the art materials and techniques and practices in all areas of orthodontic care. At our office, don’t hesitate to ask questions. We want to provide the best care to you as a patient and ensure you are informed every step of the way through your treatment. 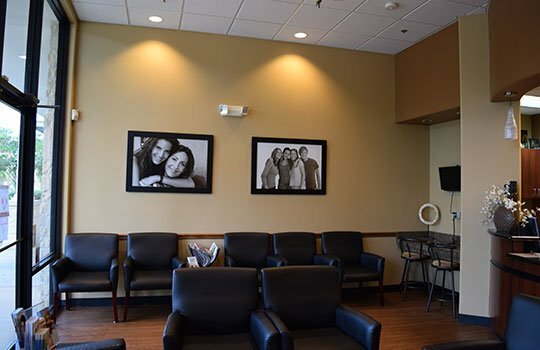 Your treatment is tailored specifically to you and your mouth, giving you the peace of mind you’re looking for in orthodontic care. Providing excellent care isn’t enough when it comes to a great orthodontist. 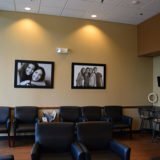 At The Woodlands, TX orthodontist office, we pride ourselves in being transparent with you when it comes to the details. Scheduling and making payments are a part of those details. Our team of friendly and professional staff will work with you to ensure that the details are all worked out so you have one less thing to worry about. 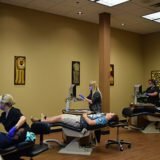 We pride ourselves in providing convenient scheduling to our patients, especially those who are still in school. 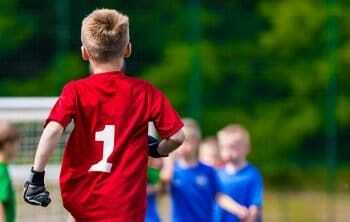 We keep hours that allow your child to be seen before and after school for the majority of appointment. To Dr. Pratt, your child’s education comes first! Affordable care is essential to you, and it’s essential to our team as well. If you’re looking for an affordable Magnolia, TX orthodontist, look no further. We accept all PPO insurances as well as Care Credit, Lending Club, and Flex Spending. Ask about our In-House Membership Plans too! Don’t let your smile go another day without looking its best. Contact us today at 281-367-0050 to schedule your next appointment with our team or visit us online to book a free consultation with our doctor. Looking for a Magnolia, TX orthodontist near Rayford Road? 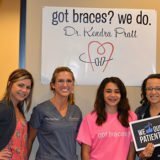 Dr. Kendra Pratt is one of only a handful of doctors in The Woodlands, TX that is board-certified as an orthodontics specialist. Most appointments can be made outside of school schedules so that kids can receive orthodontic care from our Conroe, Woodlands, Tomball & Magnolia, TX orthodontist without having to sacrifice time in school. Need an affordable Magnolia, TX orthodontist? We accept all PPO insurances as well as CareCredit, Lending Club, & Flex Spending. 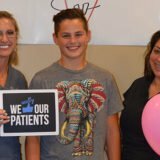 Our Conroe & The Woodlands, TX orthodontics office also offers an In-House Membership Plan. These comfortable braces without elastic ties are built for comfort and shorter treatment times. 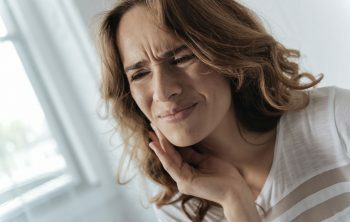 The Damon System eliminates the need for regular tightening, meaning you experience less discomfort, and less visits to our office! 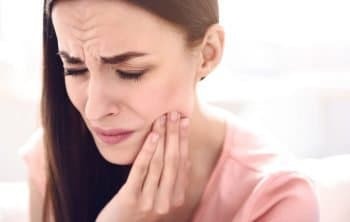 Forsus Braces are designed to promote healthy teeth and jaw growth in adolescents, eliminating the risk of overbites and other future jaw/TMJ conditions. Empower Advanced Smile Technology consists of low-force and low-friction clear brackets that makes treatment comfortable and virtually invisible to the naked eye. A popular brand of clear aligners, Invisalign is a comfortable, removable alternative to standard braces, and is perfect for adults and teens wanting to correct their smile discreetly and with more convenience.